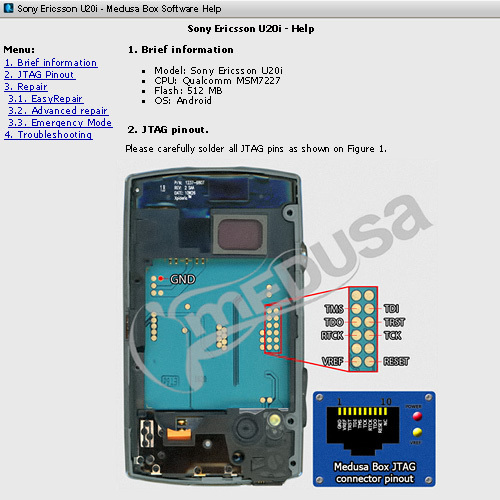 Medusa JTAG Box is a professional JTAG programmer allowing you to work with mobile devices through JTAG interface. 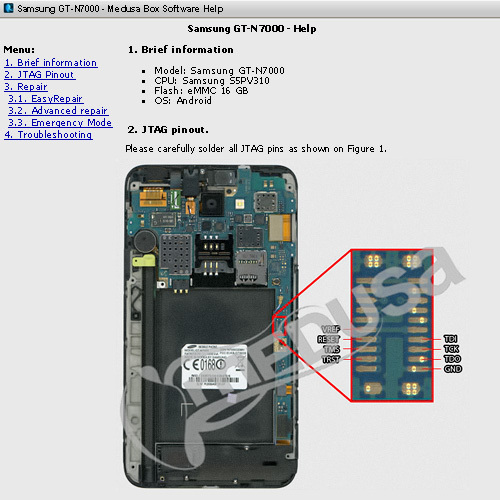 The main intended purpose of Medusa JTAG Box is repairing dead boots of the devices (cell phones, PDAs, modems, etc.) or these devices recovery until they become fully operational. Medusa Box Software is Windows application to Medusa JTAG Box providing convenient interface for devices recovery. Medusa Box (without Dongle)* - 1pc. Medusa JIG adapter - 1pc.